Orofluido Beauty Mask is the incredible new addition to the already very popular Orofluido haircare range. 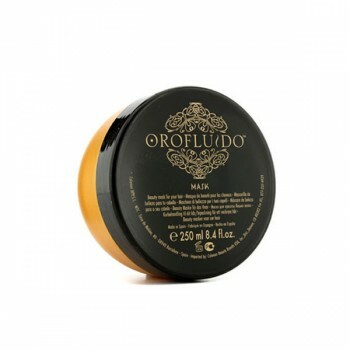 Orofluido Mask is a deep hydrating treatment for all types and especially dry hair. This superb mask moisturizes hair intensely and repairs profoundly. Just one application offers pure luxuriance that envelops the hair, bringing out its original beauty. You simple need to apply the Orofluido Beauty Mask 2 or 3 times a week for perfect results. For extra-special results, you can always add a few drops of our Orofluido Elixir Hair Oil to the Mask for a complete moisturizing and repairing effect all in one product.